It has been on my mind for a while. 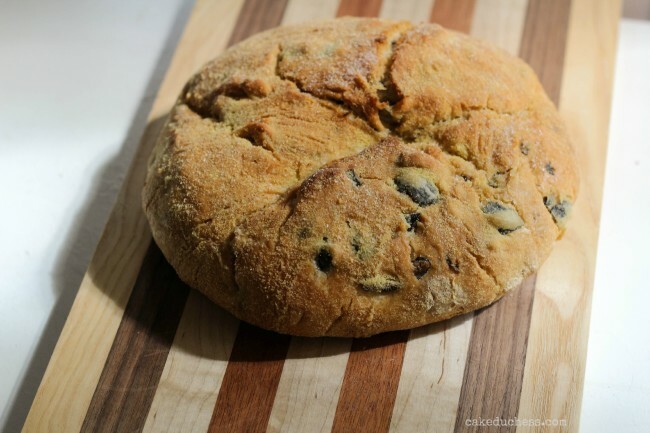 This simple and incredible, no-knead olive bread. I couldn’t stop thinking about making this bread. 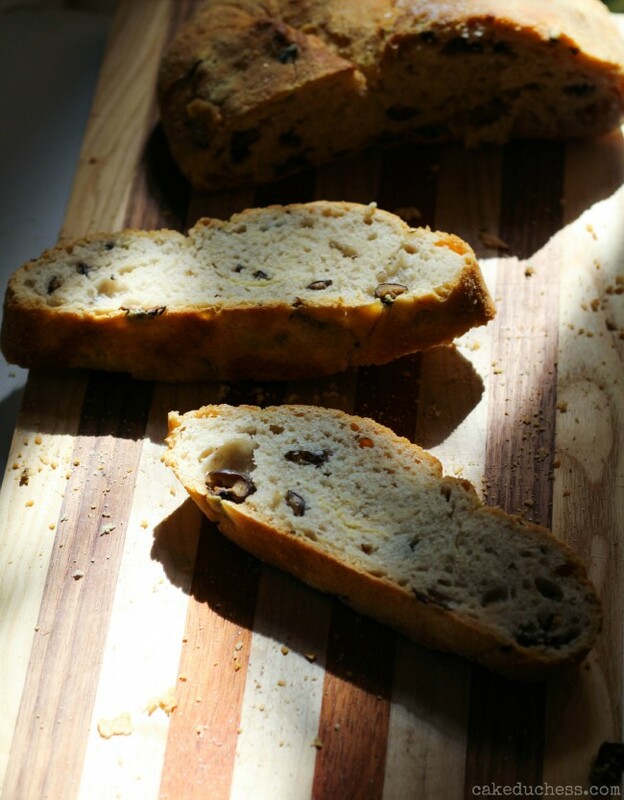 This no-knead olive bread was in my thoughts for days and weeks and it was just a problem of finding the time to put it together. All true for so many people and sometimes I say all of above things regarding time! Especially when it comes to making bread. It takes some planning and creative thinking to make fun and delicious dinners every evening. So how to find the time to make a gorgeous loaf of bread? You just do it! When do I make the time to bake a great loaf of bread? Whenever I can! But most likely, it will be for a #TwelveLoaves baking event! It really took very little effort to put the dough together. It’s such a great recipe to make when you are craving a bread with super wonderful crust and a perfect crumb. I first shared the bread here after a trip to NYC. My friend Nicole made it for us and I was completely and madly in love with it!! It could have even been so incredible for the water of NYC, or even because we were sharing it with friends and wonderful wine. And cheese!! I did manage to replicate it after that NYC trip. It’s a recipe from Jim Lahey of NYC’s Sullivan Street Bakery and it was featured in Martha Stewart Magazine. Here is how my dough looked the next morning. Honestly, I almost forgot I had this bread to put together!! You could set an alarm on your phone to remind yourself, in case you may forget. I also sort of forgot that I needed to get it together and let it rise for another 1-2 hours. So I did shape my dough into the loaf, and sort of skipped the 2nd rise time. I didn’t skip it altogether, but I did a shortened version. Wrong on my part, but I had my very impatient kids that were ready for lunch! And they were ready to get out of the house to do our plans we had for that day. I’m not sure what happened, but it was a little more sticky than I thought it would be. I ended up adding a little flour about a tablespoon at a time until the dough was getting a more manageable consistency. I almost tossed the whole thing in the garbage. The kids were bickering in the background. Time was slipping by. I was losing my interest in finishing this loaf. I was thinking back on my mother-in-law and the last time she was here. She’s probably been baking bread since she’s been walking. She learned to bake breads in Italy in brick ovens. The ladies in the family all gather together and bake for a whole day. They bake the bread and they share it with each other and bring a loaf whenever they visit somebody. I got to witness this Calabrian bread baking day this summer when we visited my 86 year old grandmother-in-law. So this bread wasn’t as beautiful as I had hoped it would be, but, oh my gosh, it was delicious! The crust was so thick and crunchy. The crumb was perfection. I thought about adding a little rosemary, and then I remembered, I love rosemary and love to cook with it, but I really don’t like rosemary flavor in my bread. I left it simple as it was with the little touch of flavor from the black olives. 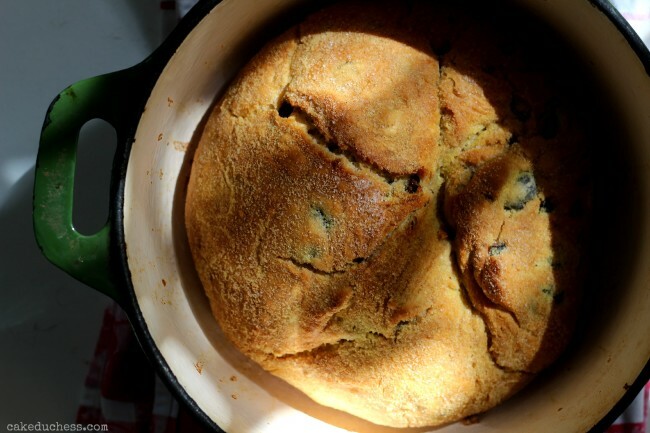 #TwelveLoaves is a monthly bread baking party created by Lora from Savoring Italy and runs smoothly with the help of Heather of girlichef, and the rest of the fabulous Twelve Loaves bakers. Our host this month is Karen from Karen’s Kitchen Stories, and our theme is Olives. Stir together flours, salt, and yeast in a medium bowl. 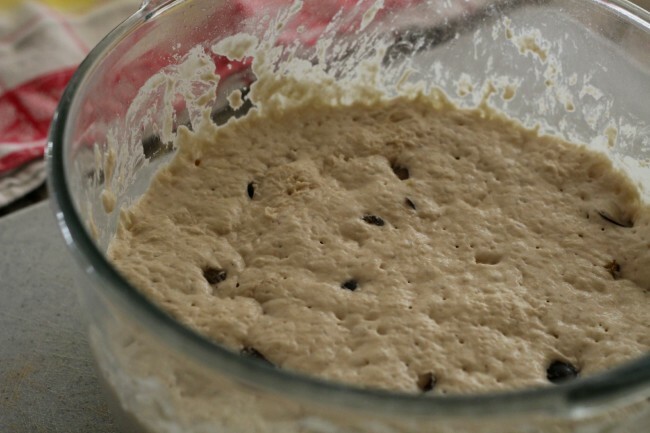 Add water and olives, and mix well using a wooden spoon or your hand until dough is wet and sticky. Cover with plastic wrap; let stand at room temperature until dough doubles in volume and the surface is dotted with bubbles (approximately 12-18 hours). Transfer dough to a floured surface using a rubber spatula or a bowl scraper to scrape dough from bowl. Fold dough using lightly floured hands, lifting edges toward the center. Shape dough into a loose round. Generously dust a clean kitchen towel with wheat bran, cornmeal, or flour (I used cornmeal). Gently place dough on towel, seam side down. Dust the top lightly with wheat bran, cornmeal, or flour. Loosely fold ends of towel over dough to cover. Let stand in a warm place until almost doubled in volume, 1-2 hours (the dough should not spring back when pressed). After dough has risen for 30 minutes, preheat oven to 475 with rack in lower third of oven. Heat a covered 3 1/2 quart heavy ovenproof Dutch oven (9 inches in diameter) for 30 minutes or until dough is ready. Carefully remove preheated pot from oven, and uncover. Unfold towel, and quickly but carefully invert dough into pot, seam side up. Cover with lid. Bake for 30 minutes. Uncover pot, and bake until bread is dark brown (mine was golden brown)but not burned, 15-20 minutes. Carefully lift bread from pot using metal spatulas, and transfer to a wire rack to cool completely.